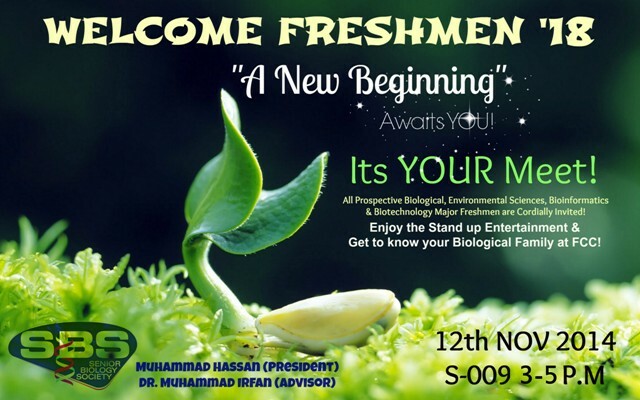 The Senior Biology Society (SBS) has arranged an event to welcome Freshmen majoring in Biological Sciences, Biotechnology, Environmental Sciences and Bioinformatics. The purpose of this event is to give our Freshmen a chance to interact and get familiar with the faculty and senior students of their department. 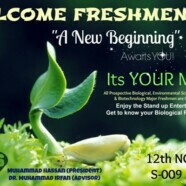 This event will take place on 12November 2014 in S-009. Get yourself registered now on the SBS Stall at the entrance of Armacost Building.